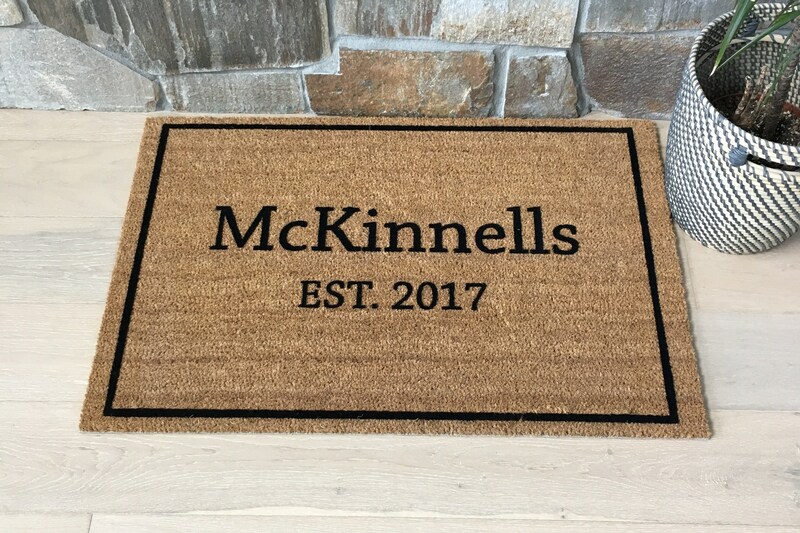 This mat makes a wonderful housewarming and/or newlywed gift! 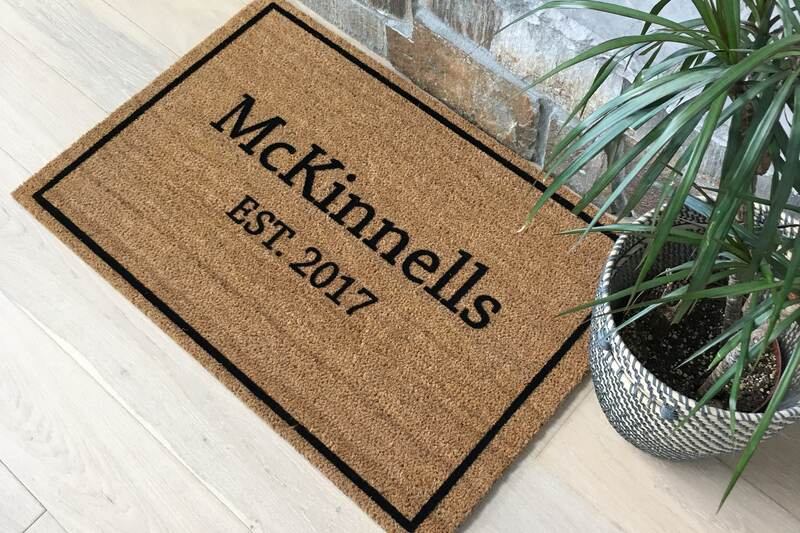 It is simple yet classic, proving to never go out of style! 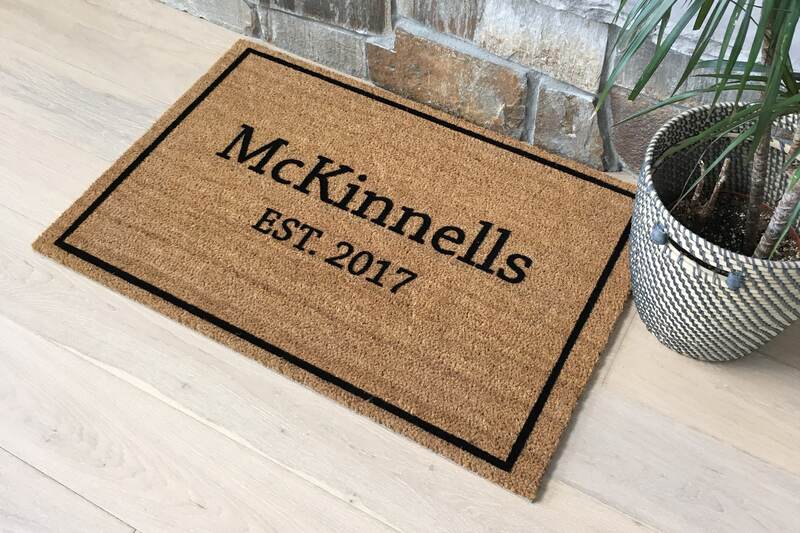 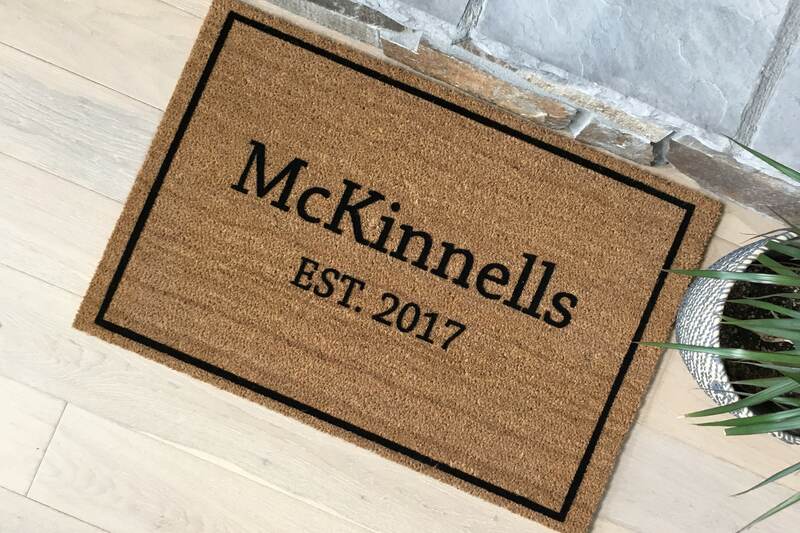 Our personalized 'McKinnells' doormat is beautifully designed and customized with your family's last name (or the last name of the person you are gifting it to!) 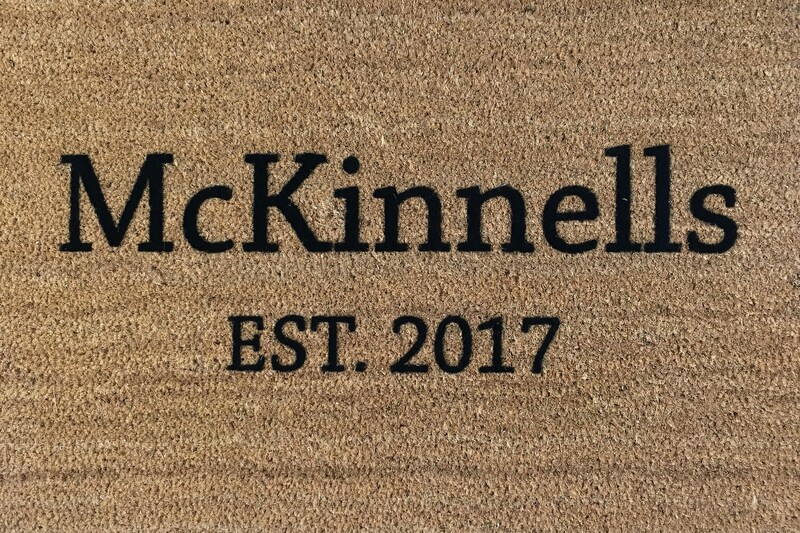 and established year.